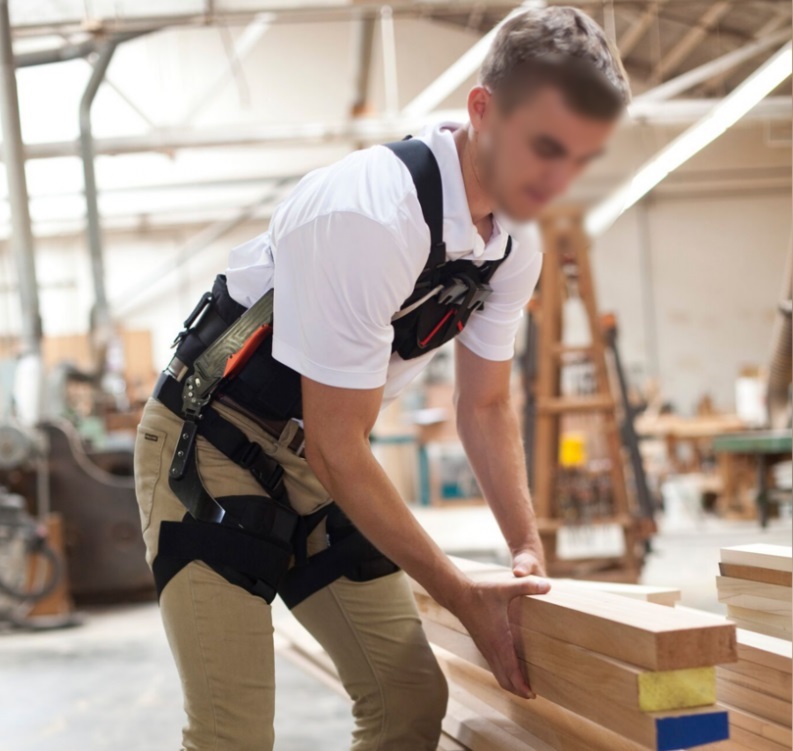 SuitX and other exoskeletons are being adopted by wood manufacturers and construction firms. BERKELEY, Calif. - Factories around the country are giving their workers a boost with exoskeletons, wearable devices that use springs and pulleys to assist in handling heavy loads. Exoskeletons help carry weight that a single individual might not be able to handle; or assist in awkward lift angles that present risk of injury; as well as repetitive movement such as unloading a skid and moving stacks of panel. Toyota recently made exoskeletons mandatory for hundreds of workers in its Woodstock, Ontario and Princeton, Indiana plants, where employees are doing repetitive heavy lifting as part of the manufacturing process on an SUV, the Wall St. Journal reports. 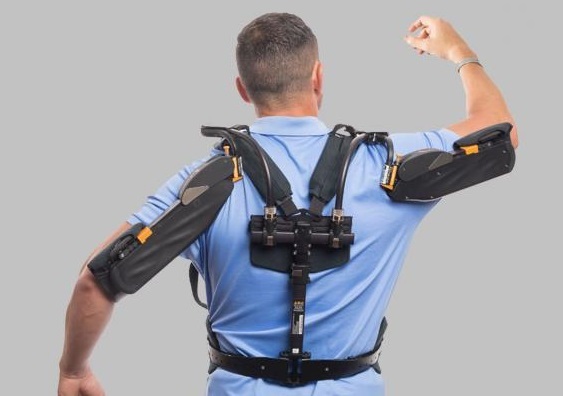 The upper body exoskeleton frames, made by San Diego-based Levitate Technologies, transfer the lift load from the shoulders to the hips of the workers. As they extend to full reach position, the Levitate devices make the load buoyant. When the load has been placed at its destination the workers arms are released. Levitate Technologies, which makes the AirFrame, says an exoskeleton and the person wearing it work together. "It is truly a meeting of human and machine." An exoskeleton contains a frame that goes around a user’s body or part of the user’s body. The frame is sometimes made out of a hard material, such as metal, and sometimes out of soft material, such as special kinds of fabric. Some exoskeletons contain sensors, which monitor and respond to users’ movements. 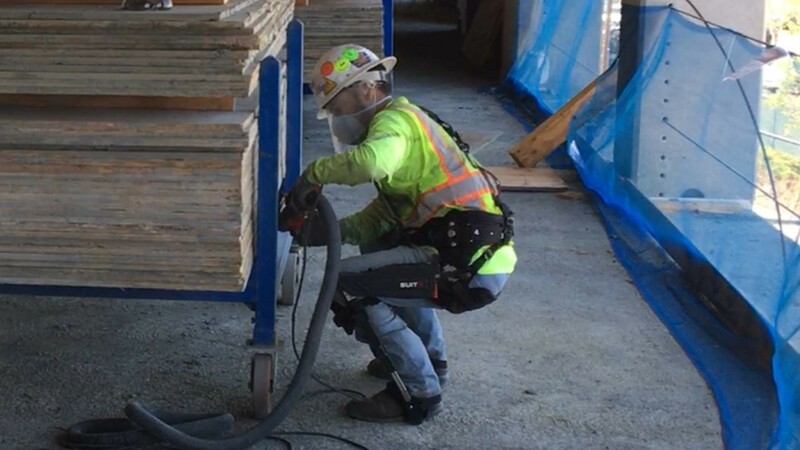 Exoskeletons are beginning to appear in construction and wood manufacturing settings, according to Berkeley, California-based SuitX, which offers three types: legX, which protects knees and hamstrings and can be used while still wearing and using tool belts; backX to provide additional support; and shoulderX - with some workers even wearing all three. Exoskeletons originated to help disabled people walk, and have measures of built-in intelligence. SuitX, which has sold devices to a number of millwork and construction companies, says its legX is an intelligent system that can distinguish between walking, ascending/descending stairs and squatting. legX also has a locking mode, where the exoskeleton can be used like a chair. 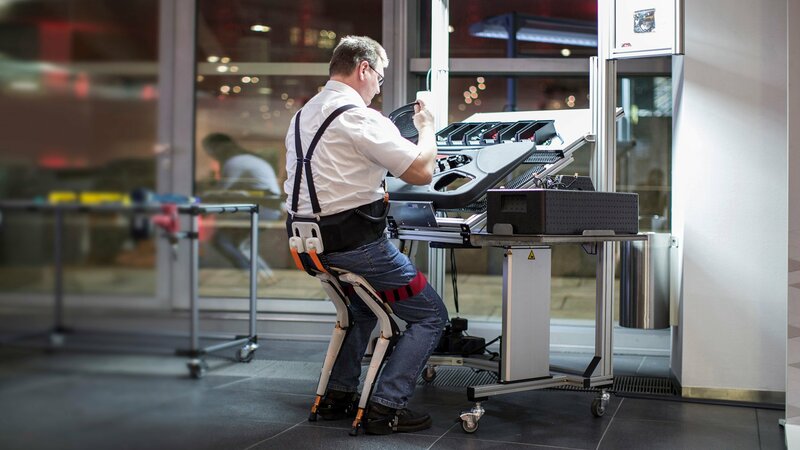 The flexibility to "sit on demand" was the thinking behind a Chairless Chair, from Swiss design firm Sapetti, gives factory workers the option to sit as needed. 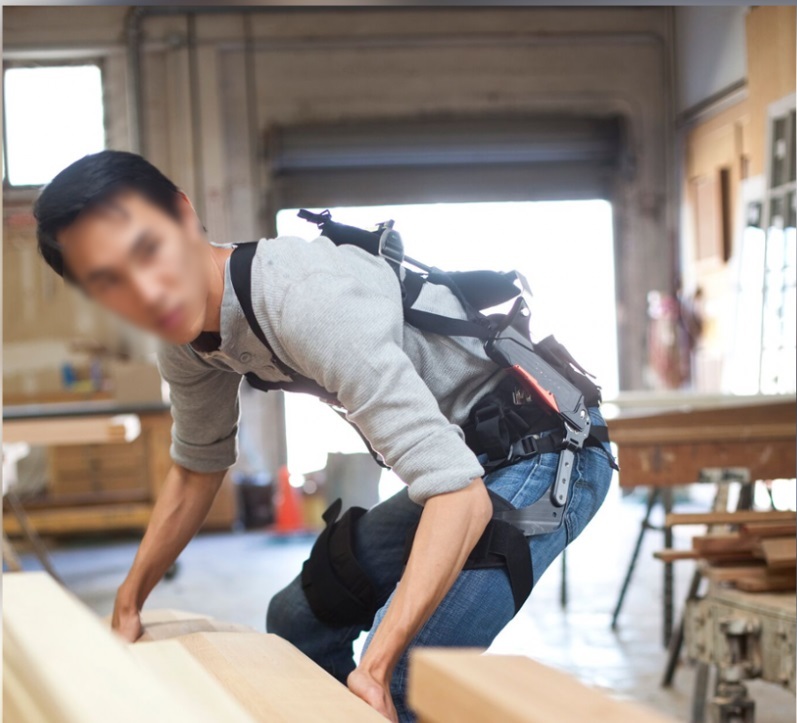 As workers age and become more prone to injury, factory managers - including woodworking plants - are adding exoskeletons to their production tool box. 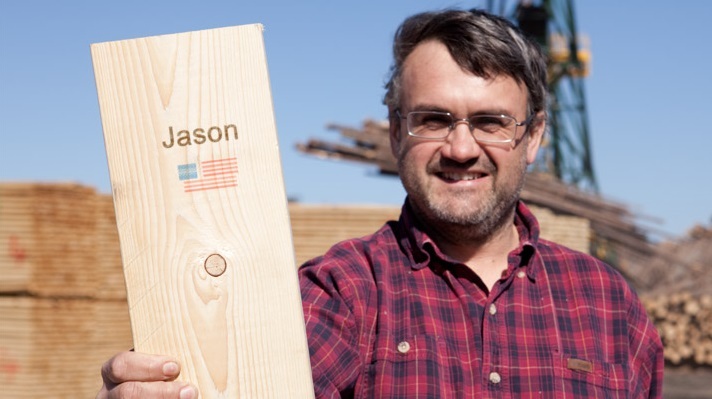 Architectural millwork firm Mission Bell Manufacturing in Morgan Hill, California, has used several of the SuitX devices, including its LegX, used internally, and at construction sites. A plant tour of Mission Bell Manufacturing, part of the 2019 Executive Briefing Conference in San Jose in April, will see workers using the SuitX devices and an explanation of the various technologies. "We will give demonstrations of how Mission Bell is using its industrial exoskeleton technology on the job site to benefit both their installers and customers," says Glenn Ripley, CEO.